Design Q is probably best known for their innovative private jet designs and concepts - concepts where a morphing lear jet fuselage double as a deck and patio. 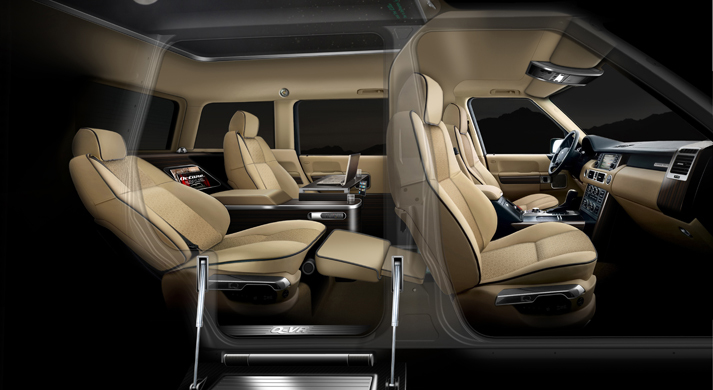 The luxury transport company has broadened their horizons moving into automotive as well as marine concepts. 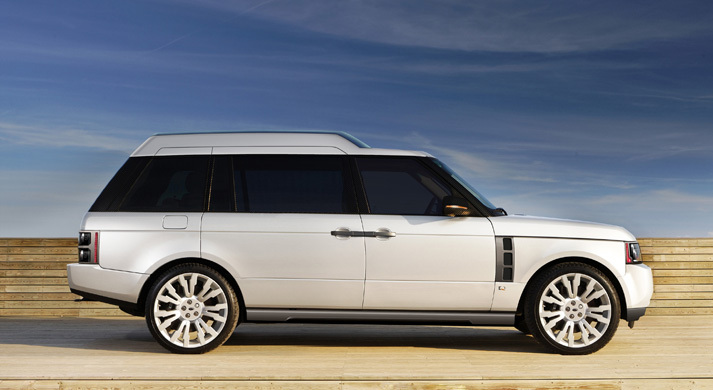 This go around features an embellished 2007 Range Rover with all the amenities of a private jet liner. 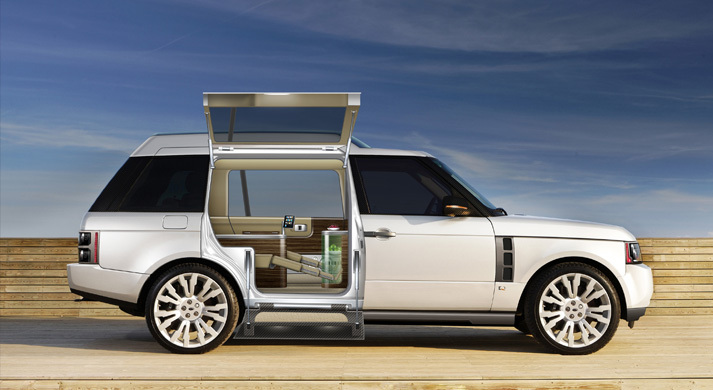 From the cigar humidor to drink chiller this Rover brings all the amenities of first class air travel.